If you would like to visit the places that Dylan Thomas knew well, what better way of doing so than to follow our trails? 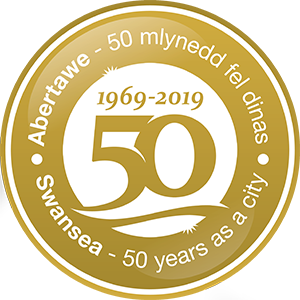 The trails take you to familiar landmarks around Swansea, Gower and South Wales; for example, the Uplands trail takes you to 5, Cwmdonkin Drive, where Dylan was born. The West Wales trail leads you to Laugharne where he lived in the Boat House and wrote ‘Under Milk Wood’, and also takes you to Fern Hill Farm, where Dylan stayed as a young boy. The farm gave its name to the wonderful poem ‘Fern Hill’, which is a celebration of childhood innocence and its inevitable loss. The trail guides are packed with anecdotes and commentaries on Dylan’s life in the various locations, and we hope that they help you get a flavour of Swansea’s most famous son. The Dylan Thomas Trails are produced by the Dylan Thomas Centre, and are available from the Dylan Thomas Centre, priced £2 each or all four for the price of three.